In this Spotlight we’ll focus on the currency of one of Europe’s most unique and intriguing countries. Whether you need to buy Icelandic krónur or are just interested in learning some new things – we’ve got you covered! 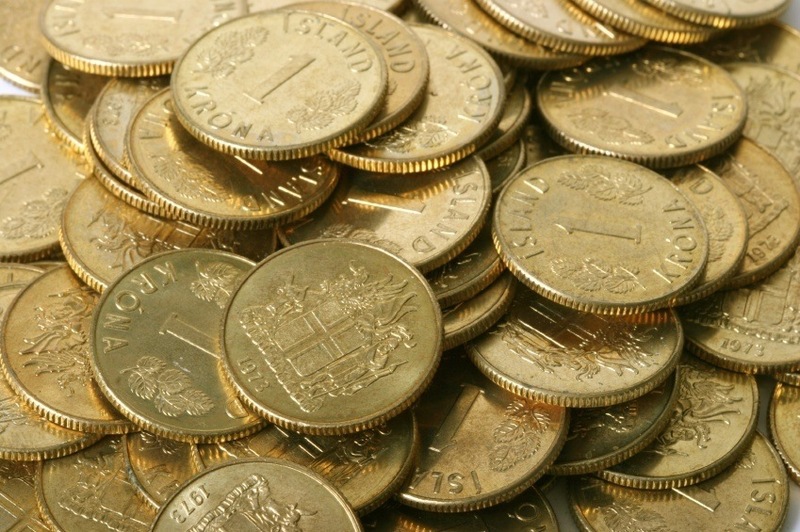 From 1874 until the beginning of World War I, the Danish krone was the currency of choice in Iceland. It wasn’t until the end of the Scandinavian Monetary Union (as well as the beginning of greater Icelandic autonomy) that the Icelandic króna was first issued. However, this króna is not the same as the one we know today. By 1981, the currency had begun to suffer from rampant inflation. To combat this, the króna was revalued and reintroduced at a rate of 1 new to 100 old. Since then, denominations have increased to exclude all króna subunits which are called aurar. While a European country, Iceland is not a member of the EU – and as such does not use the euro. There have historically been mixed opinions on adopting the euro, and this debate heated up after the financial crisis. Additionally, it was at one point considered by the government to unilaterally adopt another currency – with the Canadian dollar the most popular option. Despite this, the country currently has no plans to do away with the króna. All Icelandic króna coins feature a mythological creature on the reverse (mountain giant on the 1kr, land wights on all others) and various aquatic animals including cod, dolphin, and shore crab on the reverse. The notes have changed over the years largely with regard to higher and higher denominations. They feature portraits ranging from poet and naturalist Jónas Hallgrímsson to bishop Brynjólfur Sveinsson. The reverse of the notes often feature symbols or scenes related to the person in question (such as a poem by Hallgrímsson or Sveinsson at a church). Prior to the financial crisis of 2008, the króna was relatively stable as the country prospered – with the value about 90 to 1 euro. In October 2008 however, the banking sector completely collapsed and the króna went into a free fall. After an attempted peg of 131 to 1 against the euro failed after one day, the currency continued to fall to a low of 340 to 1. Since then, the value has improved relative the euro (with some fluctuations either way) and is currently at a high for the last several years. While the Icelandic economy is small, it can be highly volatile, as demonstrated by the devastating effect of the Global Financial Crisis. 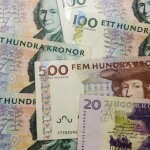 The economy is characterized by free trade and a free market, albeit with high levels of governmental intervention and egalitarianism – like many Scandinavian countries. Manufacturing and power are very important in Iceland. The country is the largest energy producer in the world per capita – largely due to abundant geothermal and hydroelectric options. Aluminum smelting is a major industry, however it’s fishing that is arguably the most important sector. Tourism is also a growing industry as the country’s natural beauty gains more recognition across the world. Beyond this, Iceland is reliant on exports – generally related to marine products. While the Global Financial Crisis was shattering for both the króna and economy as a whole, Iceland has worked hard to pick up the pieces and move forward with a diverse, export-oriented economy. 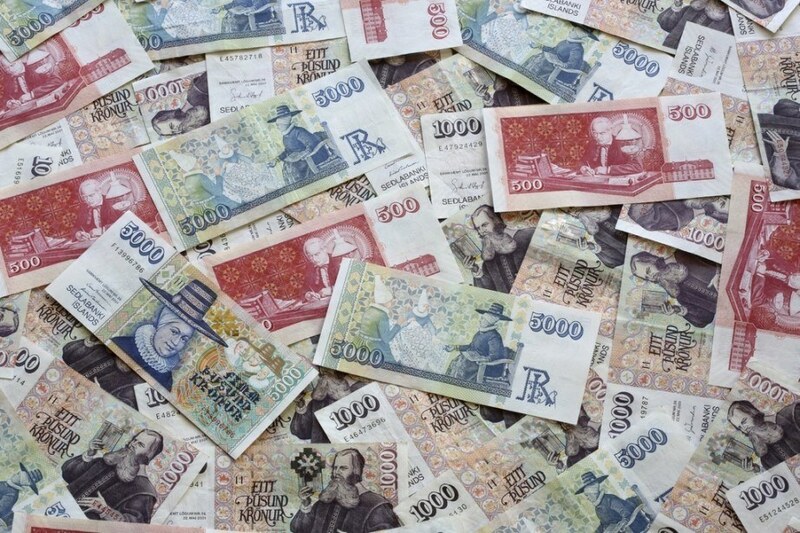 Whether you need to buy Icelandic krónur or any other of over 160 different currencies, we’ve got you covered! For a broader understanding of Icelandic history and culture check out our Country of the Week profile. For information about traveling to Iceland then be sure to follow our Travel Guide.